This waiting, this “not doing”, we could see as an example of the Taoist idea of Wu-Wei. That night, “not doing” was all we could reasonably have done. Interactions in couple relationships are always rich, often complex, and sometimes confusing and bewildering. Perhaps we think we’re just talking… but actually we may be pushing. Or maybe we think we’re just listening… but actually we’re not: we’re defending, we’re pushing back. And these dynamics in the couple can be lightning fast, highly triggering, and beset, also, with thunderous words. Wu-Wei suggests an alternative. 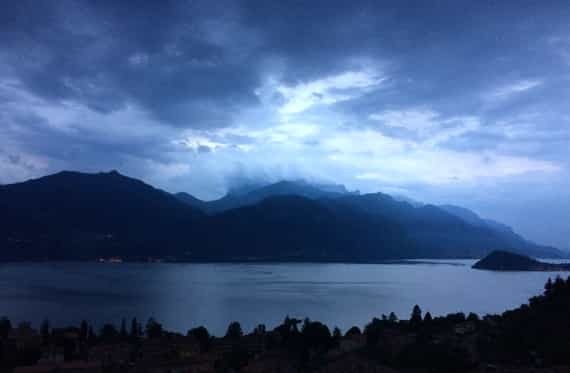 Wu-Wei suggests what we were forced to do at Lake Como: slow down, breathe, accept that any action we might take during the storm would be pointless. How this could look, in an interaction with our partner, is hard to generalise. But it could have the same quality of “not doing”, of switching to another perspective, another way of seeing the interaction. An Example: My Brilliant ideas! I regularly want to convince my partner about my latest great idea. I know how great and ground-breaking it is (as my ideas always are), so I just need to convince them to go along with it. But we always end up in this same situation, me working hard to get my point across, to show how great this idea is. And them pushing back and highlighting the flaws in the idea and really niggling me. It’s exhausting! However, reflecting on Wu-Wei, I might realise that having delivered my marvellous idea it might be better to “not do”, to “stoop to conquer”; to give my partner their freedom to process my idea, in their own way, and to allow them to respond when they are ready and, again, in their own way. Maybe this will work better. Maybe then my partner will enjoy me having these great ideas! When I try the Wu-Wei approach, my partner doesn’t say much for a while. They say they need to think it through and will get back to me. Sometimes they come back hours later or even the next day. But when they do get back to me, I realise they’re now quite an expert on the idea, and guess what? They make the idea even better than what I’d thought of! I get to see that two heads are better than one. PLUS I get to see that our relationship can be creative and have great ideas, not just me. The only way to see how a Wu-Wei approach could work is to try it. This is the experiential way: we shouldn’t be too theoretical about it. We can start simply by being open to the possibility of “not doing”, in any heated moment. In fact, as Alan Watts says, what’s really needed is just a simple shift of perspective. 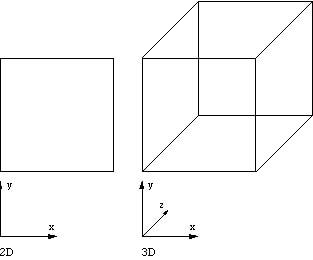 He uses the example of suddenly “getting” the three-dimensional perspective in a drawing, with just some simple extra lines being drawn with the pencil. What’s needed is just a simple shift of perspective. In other words, don’t overthink it. Instead, see if you can experience it! The Taoist sage Zhuangzi saw the connection between Wu-Wei and emotions. This is relevant in couple dynamics. The idea of following, of going along with, is something we can experiment with in our intimate interactions. Again, it can require just a simple perspective shift, as though from two dimensions to three, using observational tools (our awareness) which are as simple as the pencil. Letting the emotions follow as they will is an example of Wu-Wei. If we can observe the emotions in our partner and let them be, this can help us ride out the storms in couple interactions. We can breathe through them, can enjoy the perspective shift and can stay refreshed in, and refreshed by, our dialogues with our partner. We might find we’re actually seeking out more dialogues with them, more creative conversations and connections. As always, let us know if you’d like help with this!